It’s no secret that the Battlefield series has an extremely loyal player base, and it’s easy to see why. The combination of infantry, tanks and aircraft all battling it out on gigantic maps, fantastic level and sound design and destructive environments create an organized chaos that keeps you on the edge of your seat. This hasn’t changed in the new Battlefield V and many players are eagerly awaiting its release. Battlefield 1 released back in 2016, 102 years after the start of WW1 and 98 years before it ended. It also came with many new features that bring the Battlefield series up to date with modern hardware. It also focused on a lot of historical accuracy, which was good because most games and movies tend to focus on WW2. Sadly, the player base died very quickly, one year on and matchmaking took an awfully long time. On top of that, many players would abandon losing matches making it hard for other players who wanted to finish the match out. Combined with the Star Wars: Battlefront 2 fiasco last year, EA are having a pretty difficult time catering to its player base while ensuring they walk away with a profit. It is this reviewers opinion that they could easily make a buck load if they gave its players what they want, but I’m just a lowly writer. It is therefore not surprising that all eyes are focused on developer DICE, especially after the departure of studio boss Patrick Söderlund. 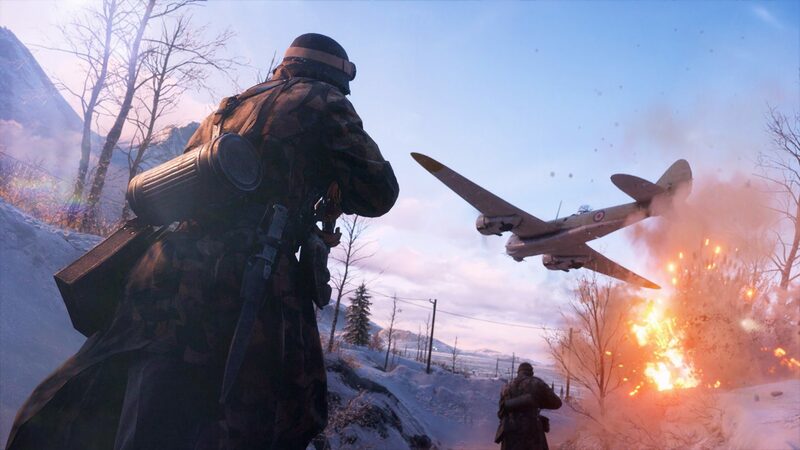 Battlefield V takes up the mantle of its predecessor and gives us a game that comes with a world of knowledge about this second war. A lot has changed since their first game, Battlefield 1942 (also focused on WWII) and that is not only true for the graphical power and amount of players on the map. Any player who is a fan of WWII movies; Saving Private Ryan, Inglorious Bastards etc, will recognise the setting of the first Grand Operations map, Arras, instantly. The map is set in occupied France, scattered with small villages that can be completely demolished. It also has a large church, perfect for snipers. That is until someone demolishes it with a tank. Fighter planes take part in dogfights with each other while also attacking ground troops. All the while, the infantry does its utmost to eliminate anti-aircraft guns with explosives. Grand Operations is a gaming mode that returns from Battlefield 1 and combines multiple game modes. In the first phase, one team parachutes in (attackers) while the opposing team shoots down airplanes and build blockades (defenders). The second phase lets the attackers disable the anti-aircraft guns with explosives and several map positions will be available for capture. The better you perform as a group, the greater the rewards are in later stages. Think more respawns along with better tanks and aircraft. The Grand Operations bring the best of Battlefield together and also tells the story of different moments in the Second World War. The gameplay changes greatly depending on what class you select. The different roles within a squad are similar, but your choice of Assault, Medic, Support or Recon, comes with different tasks and abilities. For example, every class can build barricades but each class has a different version. These Fortifications are new to the franchise and let you build barbed wire and sandbags, among other things, that can help you create a strong defence. You can also build ammunition and health stations to assist the rest of your teammates, they will be very grateful for structures such as these. 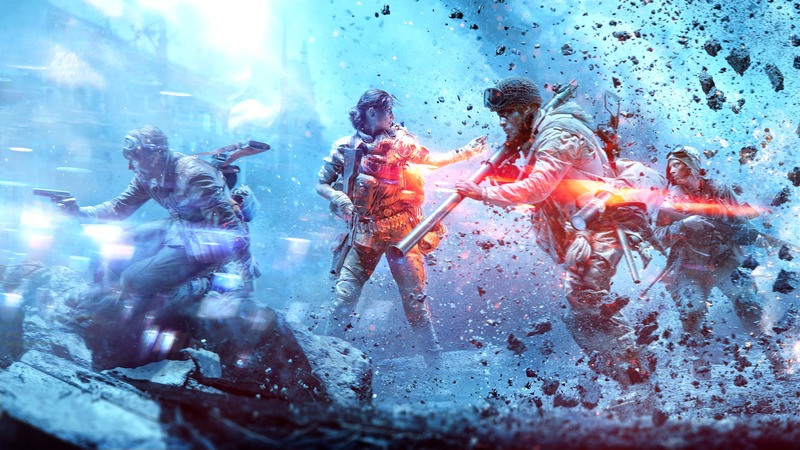 Ammunition and medpacks are much scarcer in Battlefield V, which increases the emphasis on teamwork. Although each player can revive other players, the medic will be more important than ever. This is the only class that can distribute medpacks and a Medic can also revive players much faster. The Support class is responsible for the distribution of ammunition, which has also become more important. As mentioned, obtaining ammunition is no longer as easy as in previous parts. The Recon class (usually snipers) are responsible for tagging opponents, although with each class you can make your life easier by specializing. After all, each class can be adjusted more than ever through an in-depth level system. This system not only applies to every class, but to all weapons, tanks and planes as well. Let’s take the M30 Drilling (double-shot shotgun) as an example. In different routes, you can choose to increase the reload speed or to have the weapon aim faster. Later you can choose to increase the weapons range or you can run faster while you aim. Going through these skill trees will cost you money you earn by playing the game. Not only does each weapon have a skill tree, every class, tank and aircraft has one, with specializations different from each other. Finally, you can adjust the appearance of all your weapons, vehicles and soldiers from head to toe, so that you can always give your own face to your characters. All this is stored in your company, the central place for all your composite weapons, vehicles and soldiers. 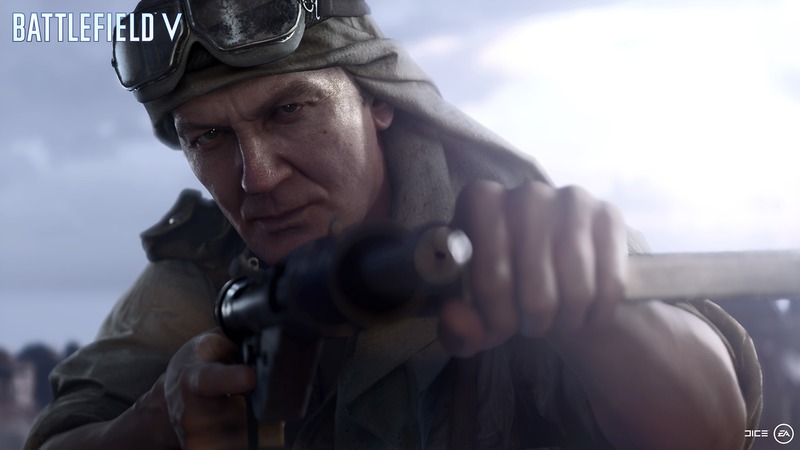 Battlefield V introduces considerable changes with building fortifications and the number of ways to customize soldiers, weapons and vehicles, yet the biggest gameplay change can be found in the way weapons work. Battlefield always had a system where bullets fell to the ground at greater distances. For fighting on long and medium distances, estimating distances was especially important. This is now less the case, because DICE has chosen to have the impact of bullets exactly as you see them through your visor. Only at extremely great distances (for snipers most importantly) will the bullet drop off be of interest, for other players it will be relatively easier to get a bullet in the right place. 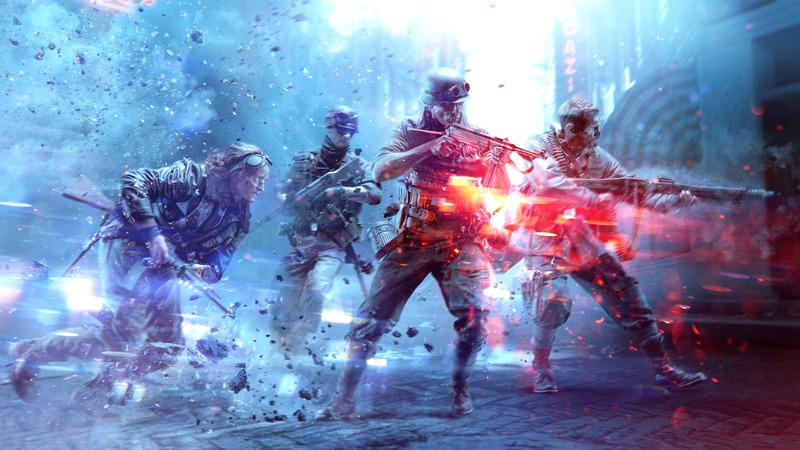 According to Daniel Berlin, design director for Battlefield V, this is one of the biggest changes to the franchise, although this does not necessarily mean that the game will be easier. To compensate, the recoil of weapons will be greater (predictable recoil pattern). Depending on the strength and impact of the weapon, it will have a larger recoil with a longer duration. The way of shooting will be a bit more similar to games like Call of Duty, although the gameplay of Battlefield is so different that this comparison ends here. 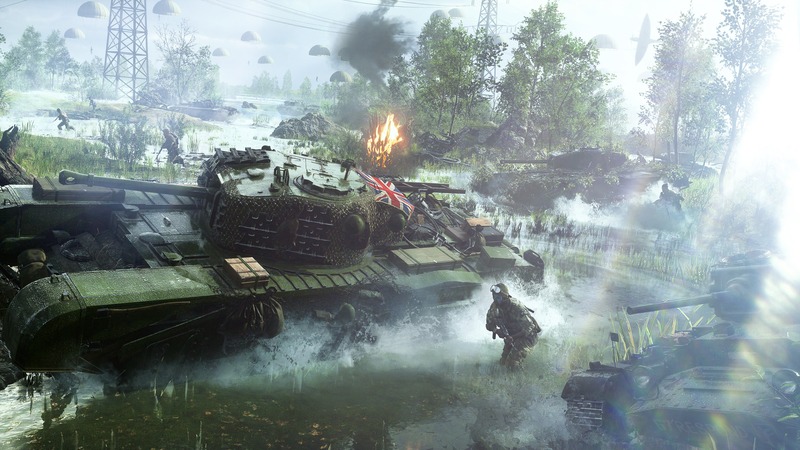 The strength of Battlefield V is mainly in the environments. In that respect, Battlefield V shows that the Second World War is a much more attractive setting than the First World War. In terms of maps, BF5 is fantastic! Fjell 652 lets you fight on the snowy mountains of Norway, where small paths lead you to different central points. Wooden chalets provide shelter as long as they remain standing and aircraft colour the sky with death and destruction. The map is mainly made for medium and short distances and every meter of the map offers excitement and sensation. Africa is a map that takes place on the eponymous continent and is a typical Battlefield map. The distances are enormous and the ruins provide a lot of shelter. In the middle is a ravine you can walk through to get to the other side, but you can also choose to cross the bridge. This bridge functions as a funnel and the place where chaos reigns. Snipers and vehicle enthusiasts will love Africa, although “normal” soldiers will also enjoy it because the level design is very detailed. The ruins provide enough shelter, so you are not constantly being shot at by tanks and snipers everywhere. Twisted Steel is also a gem and takes place in France. A huge bridge runs over a river and a marsh and the environment is gigantic, with villages, trenches, moors and hills. Everything comes together here and especially during Grand Operations, Twisted Steel is best shown. If you have to conquer the enormous bridge with your team, a funnel is created that can only be broken with tanks. The chaos is huge, with people falling from the bridge and tanks attacking. Rocket launchers shoot back destructively, while soldiers are busy putting sandbags, iron tank stoppers and barbed wire; and Medics running around to heal teammates. It is the chaos that I love the most. It is never impossible to win, but always enormously challenging within organized chaos. One of the maps takes place in Rotterdam, in the Netherlands. There are two versions of this map, one taking place before the bombing and the other after. The Rotterdam map from before the bombing is a very varied map, with space for vehicles and infantry, surrounded by high-rise buildings and bridges, which creates a lot of vertical gameplay. The second Rotterdam map (aptly named Devastation of Rotterdam) is a literal mess. The ruins of the city are impressive and offer many different shelters for infantry. There are no tanks and the most fierce battles will take place around St. Lawrence Church in the centre of the battlefield. The environments in Battlefield V are the lifeblood of the game and they are almost all well balanced and extremely entertaining. The only map I’m not a fan of is Hamada. Snipers and tanks play such an important role that other classes have almost no chance. It shows that making balanced maps for Battlefield is almost a science because organized chaos and frustration are very close together. The ambition of DICE is radiant when playing the game, because in addition to the enormous environments there is of course also a single player experience, where a lot of love and attention is spent. 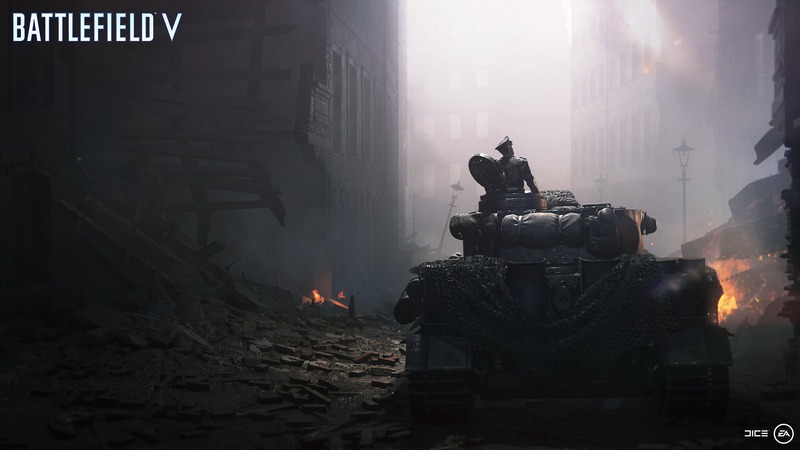 At the launch, players are spoiled with three War Stories (the prologue is also called a War Story, but that does not make sense at all as it takes less than ten minutes), all of which focus on the lesser-known stories of the Second World War. Nordlys is about a lonely soldier in Norway who is looking for a prisoner of resistance. Many players will follow this story insidiously, armed with pitching, skis and silenced weapons. The War Stories are filled with alternating gameplay, compelling story and a nice step forward compared to Battlefield 1. The other two War Stories also have their own in-depth tales, Tirailleur was especially impressive. You play the role of a black man, who is taken from a French colony to help on the front in France. He is proud that he is allowed to fight for the French motherland, but on arrival, the “black population” appear to be no more than second-rate pawns, equipped with the weakest weapons. Once the gameplay starts you obviously play a “normal” shooter, but it’s great that DICE has done its best to bring more layers to the single-player campaign. Under No Flag is the third and for the time being the last War Story, which revolves around British soldiers who were recruited in prison in exchange for punishment reduction. This true fact is taken as the basis for a further fictional storyline and is particularly entertaining. Check out our gameplay commentary from Under No Flag for more information. The single player is a nice attempt to do something more than just stick some gameplay elements together. Don’t expect hours of gameplay, but enjoy a higher level than before. In terms of content, DICE was pretty ambitious, but with great ambitions, there is always a lot of time involved. 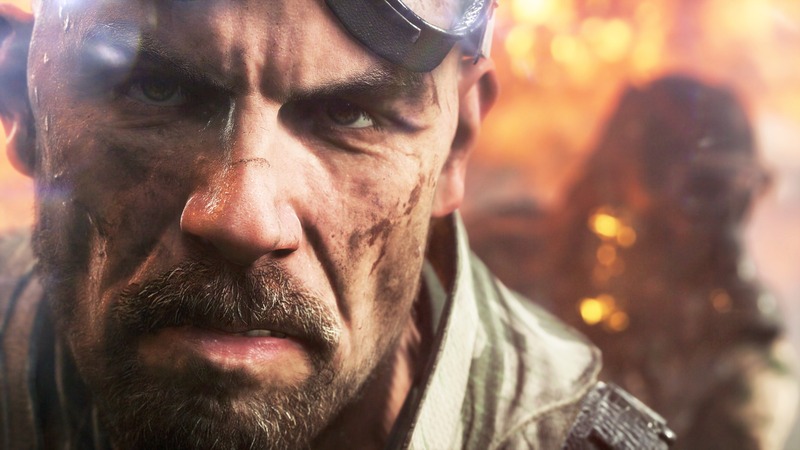 Too much time as it turns out because Battlefield 5 will be partially phased in. 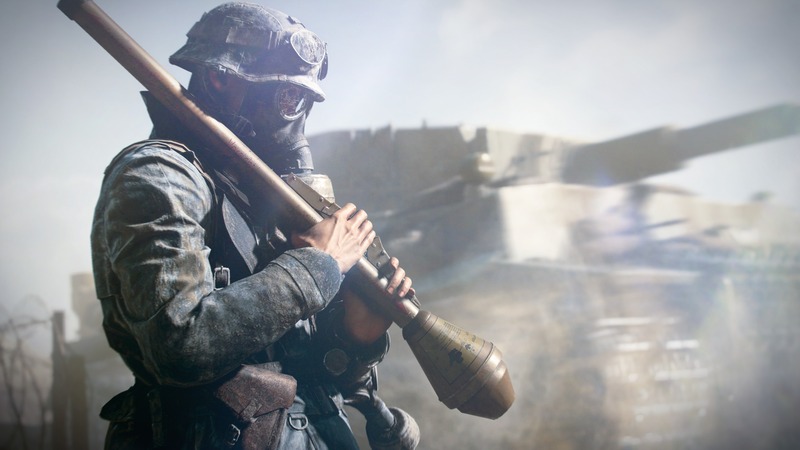 At the launch, the game is at least as complete as Battlefield 1, with six modes, eight maps, three War Stories and a much more extensive level system. Regardless, there will still be a lot of content after the release. This will come in the form of the DLC content and will be free to everyone who has purchased the base game. The first wave of new content will be available as soon as December 4 with the launch of Overture. Overture offers a comprehensive Practice Range, a new War Story and a new map. The War Story (The Last Tiger) looks very interesting, players will be placed in a German tank unit that has to survive behind enemy lines. It is courageous that DICE dares to tell a story from the German side and offers players the chance to experience a single player experience with the best tank from the Second World War; the Tiger II (fight me!). The map that will be added bears the name Panzerstorm and is the largest map of the game. It takes place in Belgium and is characterized by enormous views and bizarrely large distances. It will not surprise anyone that the map is mainly made for tanks, airplanes and snipers. Come back to EliteGamer for an extensive preview of Panzerstorm. The second wave of content will appear around March and bears the name Trial by Fire. In addition to a new map that will focus on the battle scene in Greece (which is quite unique), for many gamers, this is the moment they have been waiting for. Firestorm will introduce the Battle Royale mode under the name Firestorm Royale. 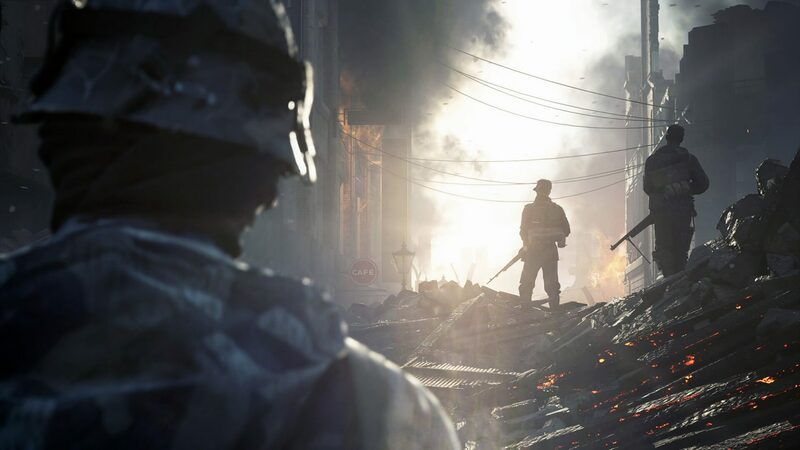 In all probability Battlefield V is the perfect game for the Battle Royale genre. Where Black Ops 4 is rather similar to a more serious version of Fortnite, Battlefield V will feel more like PlayerUnknown’s Battlegrounds. Now real gamers, of course, know that PUBG is the only real Battle Royale game so the expectations are high. Nevertheless, in this review, we can not yet weigh in on the future content, simply because we do not have much more than promises at the moment. We do know that all content will be added for free and that is okay. DICE has huge ambitions and that is visible in Battlefield V. The fact that we still can not play a lot of the promised content is unfortunate, but on the other hand, the content that is currently available is more than enough to entertain most players. The eight maps let the real Battlefield moments come to life, where Arras, Twisted Steel and Rotterdam are the absolute gems. Game modes like Grand Operations will have you on the edge of your seat from start to finish, but Conquest is also old-fashioned feast. The combat is still of a high level, although new players will have to get used to the shooting action, especially with the change to bullet drop off. On the other hand, the weapon recoil has more influence on the gameplay, with the so-called predictable recoil pattern. The ability to build defensive positions with sandbags and barbed wire, as well as the scarcity of bullets and medpacks make the division of various tasks within squads even more important. In addition, you can master your character more than ever, because the number of options to customise soldiers, vehicles and weapons is extensive, both cosmetically and via the skill tree. 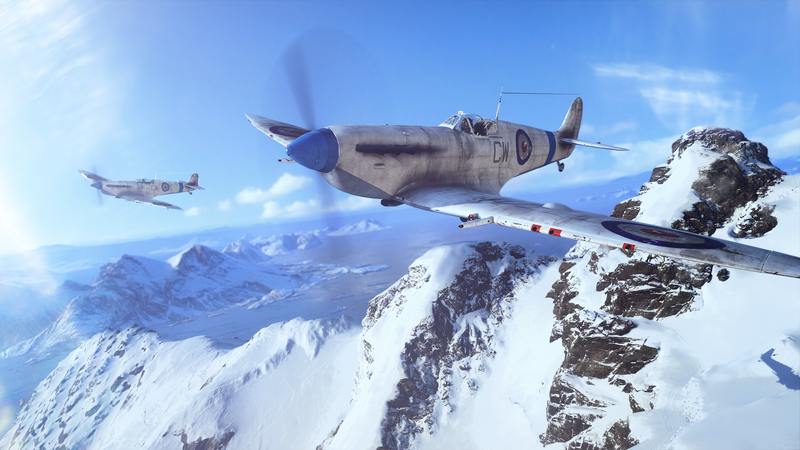 Despite it’s flaws (and there are several), Battlefield V comes back with many new features, improved gameplay and ultimately remains the most beautiful and spectacular shooter on the market. Next articleWhen Should Reviewers Write Reviews?